2nd Cohort of the Accelerator Begins!! 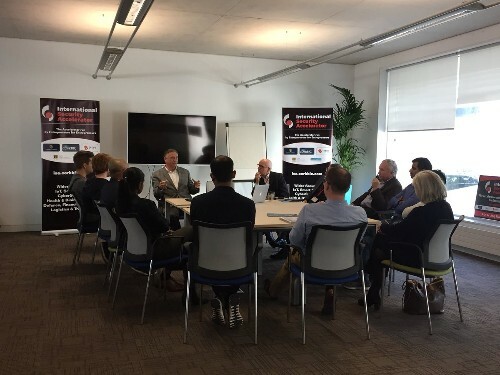 We are delighted that the second cohort of the CorkBIC International Security Accelerator began on the 18th of October 2018. The programme invests in early stage disruptive companies coming from a range of sectors within the security industry such Cyber Security, IoT, AI, MedTech and Fintech. A number of the companies have joined from abroad including the US, India and the Netherlands along with some Irish companies and each company will receive investment, office Space, mentorship and business development as part of the programme. Over the last few weeks we have been working with participants to get their visas over the line and as we come to the end of this challenge, the next challenge will be getting the participants set up in suitable accommodation in Cork. If you know of any accommodation available for the next 4-6 months in or around Cork City please reach out to Programme Manager Laura Mellett at lmellett@corkbic.com.